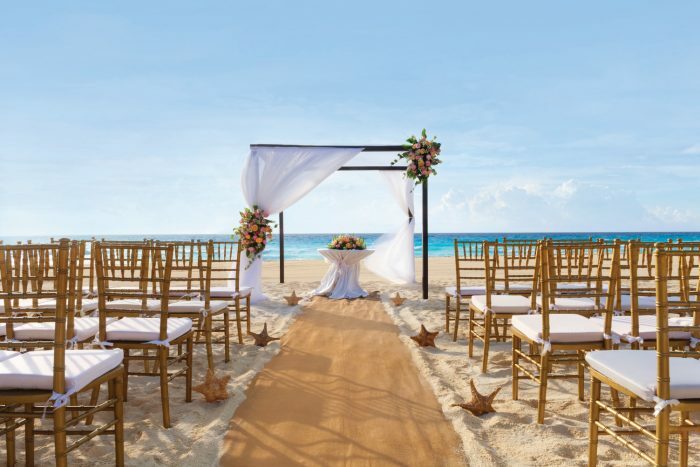 From breathtaking, white-sandy beaches to gorgeous ballrooms and garden terraces, the Hyatt Ziva Cancun allows for the destination wedding of your dreams. 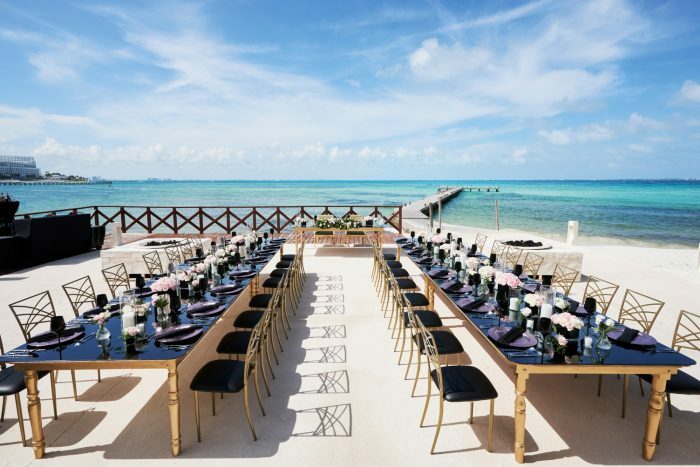 The resort is located just outside of downtown Cancun and offers endless amounts of activities and relaxing options to make your wedding experience all that you could ever desire. 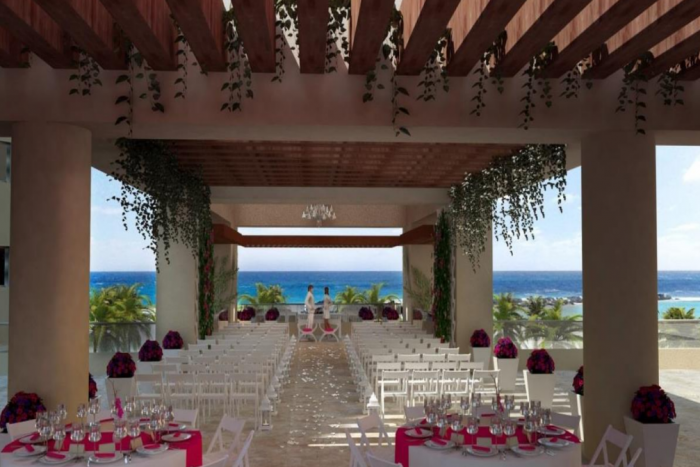 The Hyatt Ziva Cancun offers a unique cliffside wedding gazebo you can hold your wedding ceremony at, with panoramic views of the Caribbean Sea. 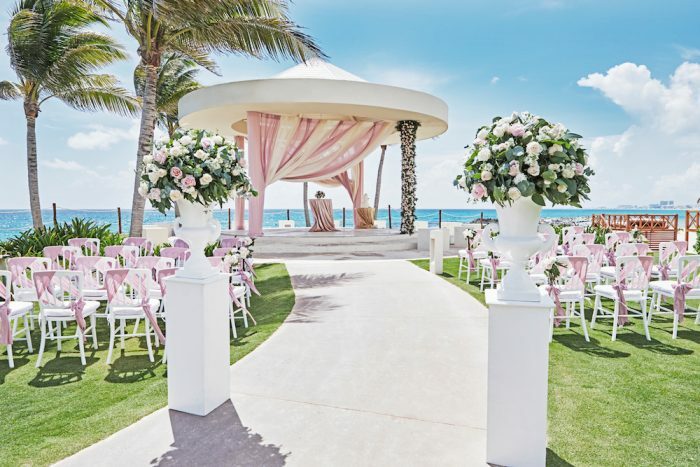 Indoor and outdoor venue options are available, but the Sky Gazebo is the perfect venue option for those who want both, with a semi-covered terrace. 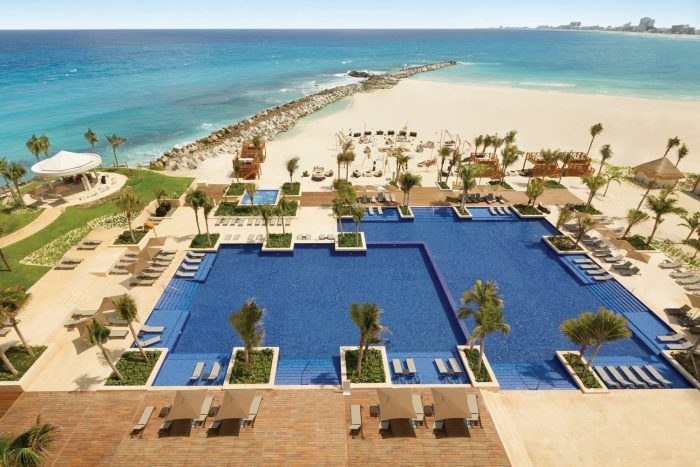 The adults-only infinity pools provides one of the most picteresque views of the ocean in all of Cancun. The base package is $1125 and includes 10 guests but is complimentary if your party books 15 room nights in The Club Oceanfront Tower or higher category. Upgraded packages, additional guests, and add-ons are available for an additional cost. Elements Ballroom – 745 guests max, Sahara Beach – 400 guests max, Punta Vista Terrace – 200 guests max, Sky Gazebo – 100 guests max, Cliff Gazebo – 65 guests max. 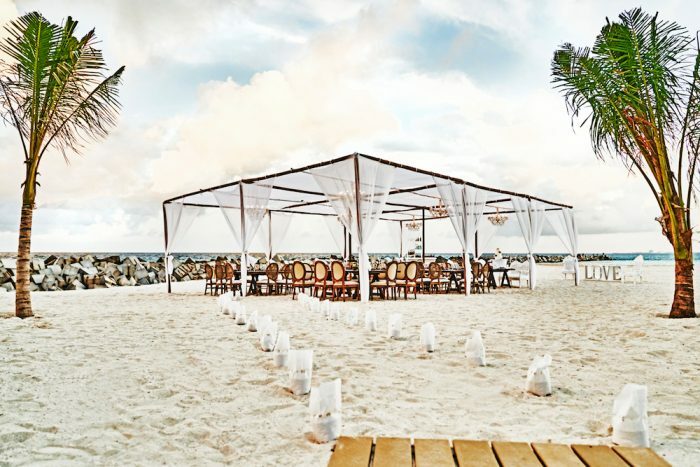 The resort hosts no more than 2 weddings per day Sunday thru Friday at 10am, 1pm, or 4pm. On Saturdays, wedding times vary depending on the season. They have a Catholic chapel available about 5 – 10 minutes from the resort. 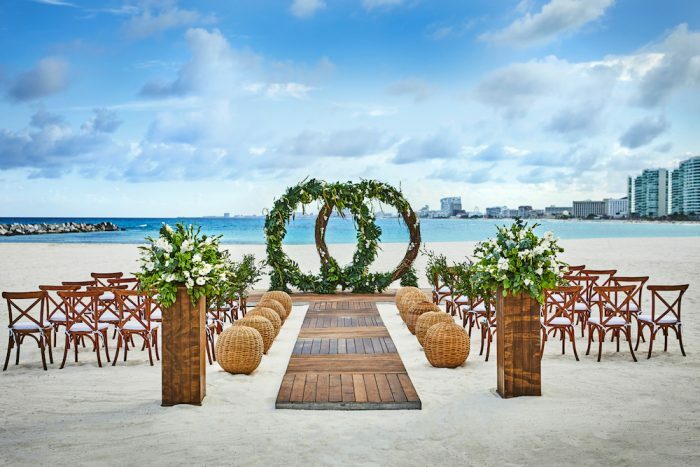 The wedding coordinators typically take 24 – 48 hours to respond. During peak seasons, you may have slightly longer response times. Rooms range from $203 – $310 per person per night. All rooms include a mini-bar and provide complimentary wifi. Guests staying in the Club Tower will have exclusive access to a private lounge with top-shelf liquors and complimentary appetizers. Children 2 and younger stay free. There are 547 total guest rooms that offer views of the garden, ocean, or dolphin pool. 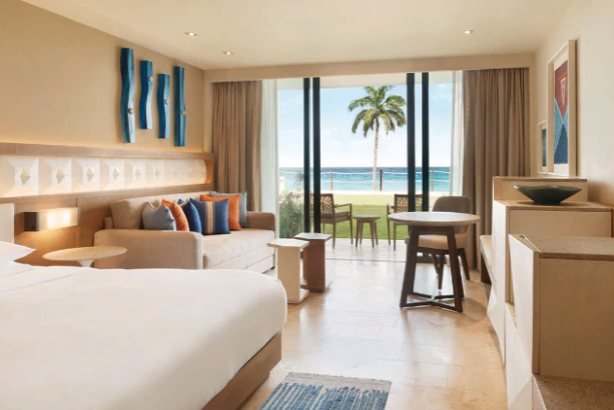 For guests looking for ultimate relaxation, Club Suite rooms include a personalized butler and concierge services upon request and personal hot tubs inside the room. The room with the dolphin pool view is recommended for more active guests because it allows them to watch the dolphins play in their pool from the comfort of their room. Rooms allow up to 3 adults and 2 children or 5 adults. Adults-only rooms are also available in the Turquoise Tower and allow up to 4 adults. Children are ages 13 and younger. 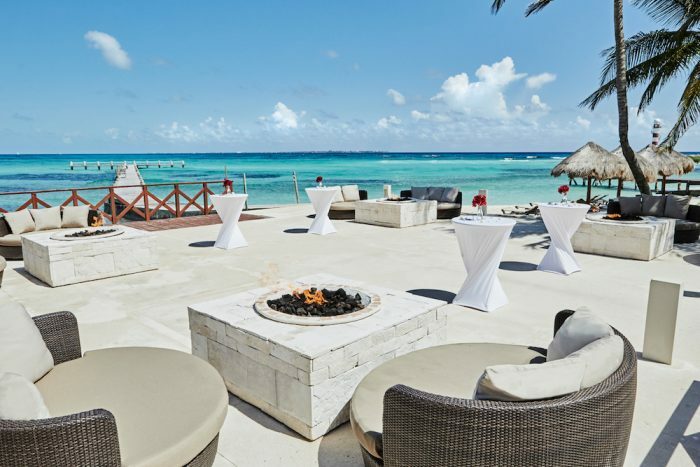 The Hyatt Ziva Cancun is located about 6 miles from the CUN airport and from downtown Cancun. Rooms allow up to 3 adults and 2 children or 5 adults. Adults-only rooms are also available in the Turquoize Tower and allow up to 4 adults. Children are ages 13 and younger. 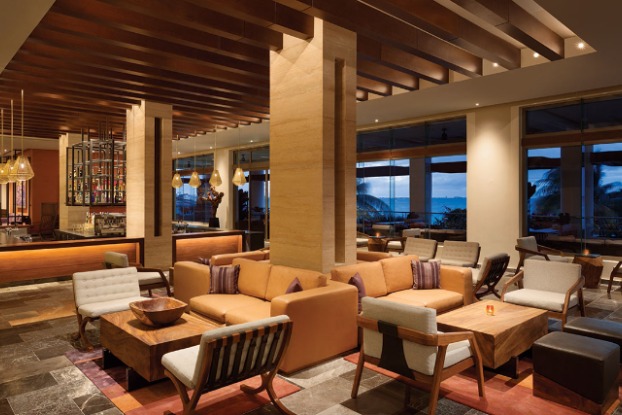 The Hyatt Ziva Cancun is located about 6 miles from the CUN airport. A: Limited space because of high occupancy or volume of events. We recommend booking your event at least one year early and a year and a half if this is on busy dates. Q:Can you tell us an anecdote about one of your brides when you saved the day? A: Due to the weather, we moved everything indoors for a couple because of the rain. I surprised her with extra beautiful decorations, and I exceeded her expectations! !